October 2018 marked the 17th anniversary of the U.S. war in Afghanistan. Despite near unanimity when the war began, mainstream political opinion now seems to be that the United States has “lost” the war. “Seventeen years into the U.S. military mission in Afghanistan, Americans remain pessimistic about U.S. efforts in the country,” a new study from the Pew Research Center revealed in September 2018. Around half of adults say the United States has mostly failed in achieving its goals there, while about a third say it has mostly succeeded, according to the study. This agreement is even more surprising in that it’s totally wrong. The Afghanistan war has been a big success for the United States. A frank discussion of the actual goals and outcomes of U.S. security policy and what’s really gone on in Afghanistan since 2001 makes this undeniable, if still unacknowledged. Initially known as Operation Enduring Freedom, the war’s goals were to destroy Al Qaeda’s infrastructure in Afghanistan, capture key terrorist leaders and assist anti-Taliban Afghans in overthrowing the regime. The operation largely achieved all of these goals before the end of 2001. Al Qaeda has been unable to train or launch operations from Afghanistan since even before the bombs started to drop on Oct. 7, 2001, and the Taliban government fell in November and December of that year. So then why does the United States still maintain as many as 14,000 troops in Afghanistan 17 years later? The answer, of course, is that despite the fall of their government, the Taliban as a fighting force remains a problem. This is reason enough for many to feel that the war has been a failure. But how opposed to the Taliban is the United States, really? Prior to the 9/11 attacks observers most often described the regime as a client of the Pakistani ISI intelligence services, themselves close allies of the CIA. The Taliban were the legacy of U.S.- and Saudi-led guerrilla conflicts against the Soviet Union in 1980s, later serving as a proxy against Iranian supported groups there in the early 1990s. Their religious and political views put them firmly in the Saudi camp, allied obliquely with the United States. U.S. leaders blamed them for the 9/11 attacks, but we now know that the attacks were in fact most directly the work of Saudi elements. America, however, was not going to declare war on an important ally like Saudi Arabia. The United States needed a different enemy to launch a real war against, and the Taliban were easy to sacrifice to this purpose. This posed the problem of Pakistan’s major investment in the regime; wiping out the Taliban would have been a huge material loss for this U.S. ally. The solution was the so-called “Airlift of Evil” out of Kunduz in November 2001. America and its allies stood down while Pakistani intelligence airlifted more than 5,000 fighters — including Al Qaeda and Taliban militants — out of the country. 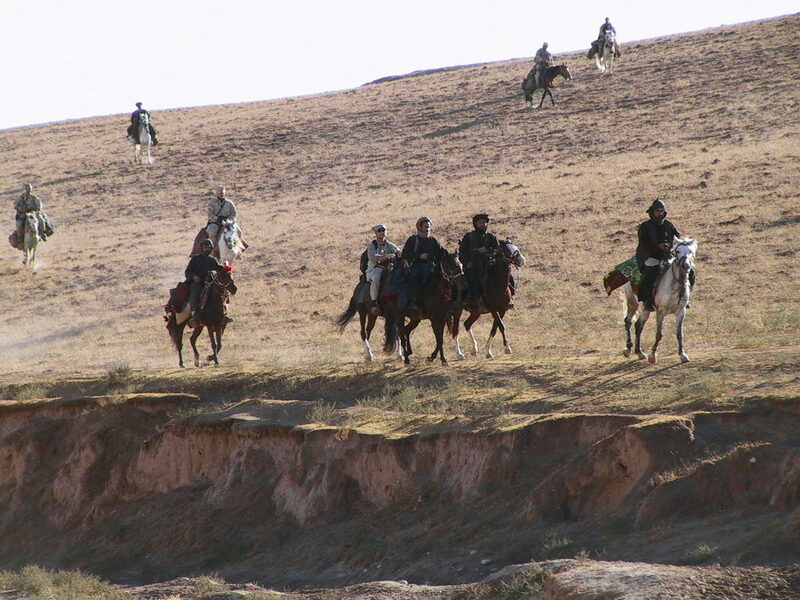 These escaped fighters became the core of the group carrying out the insurgency there today. Our situation is not a failure of operations there, but rather their easily foreseen outcome. The real U.S. objective with regard to the Taliban is also clear. Achieve an overwhelming military victory to satisfy domestic political priorities without undermining strategic relationships in the region. Whether the Taliban came back or not didn’t really matter — as long as we could claim a response to 9/11 while avoiding any harm to Pakistan or Saudi Arabia, the real sources of 9/11’s terror — the war was a success. In this context, the United States has accomplished its goals in Afghanistan. Most of this “training, advising and assisting” is being done by private contractors, a total of at least 26,000 private employees total in 2016, with a total cost over the lifetime of the war of more than $107 billion. Overall costs of the war are estimated at $45 billion a year. Despite pundit rhetoric, this money is not going down a black hole. It gets put into banks in the United States and abroad, passing through the hands of soldiers, contractors, weapons makers, warlords, crooks and politicians, having been pulled out of a black hole by the U.S. Treasury. Congress has never levied any taxes to pay for the war; it is a massive, global fiscal stimulus program directed at the military-industrial complex and well-connected players in international criminal intrigue. To put it bluntly, it’s made the top allies of the upper echelons of U.S. imperialism very wealthy. If stability were ever to reign in Afghanistan there would be no more justification for the money flow, so vague promises of “developing capacity” while tolerating instability makes perfect sense. The United States is achieving this goal with flying colors. We are winning in Afghanistan. It’s important that those of us who want to reverse the injustices of U.S. imperialism have open eyes on topics like this. We can’t get snookered into supporting new reboots and “surges” which deepen investments in global wrongdoing all in the name of “winning” something that’s already been won. We can’t wait around to be proven right when the imperialists are getting exactly what they want. If we keep falling into this trap we’ll keep getting what we’ve had for the last two decades. Dead soldiers, devastated countries and wrecked politics. That’s the legacy to remember as the anniversaries roll by again this year and in many foreseeable years to come. They’re all perfectly compatible with victory for the U.S. imperial establishment, regardless of what they’ll say when the cameras are rolling.